Meeting with Congressman Jim McGovern, during the 2018 US Tibet Lobby Day coordinated by International Campaign for Tibet with support from Tibetan communities and SFT. It’s a victorious day for Tibet! Yesterday, the House Judiciary Committee unanimously approved the Reciprocal Access to Tibet Act. The Reciprocal Access to Tibet Act says that unless China relaxes its draconian restrictions on travel to Tibet for Americans, the Chinese government officials responsible for that policy cannot get a visa to travel to the US. This action sends a clear message to the Chinese government that the United States stands with Tibet and will no longer tolerate China’s restrictions on access to Tibet and Human Rights violation in Tibet. Your actions, petitions, phone calls and meetings have made this possible. We are thankful to Congressman Jim McGovern for his steadfast leadership and vision, by originally introducing the bill in the House in 2014. He has been one of the greatest champions for human rights in Tibet and one of the strongest allies in our movement. 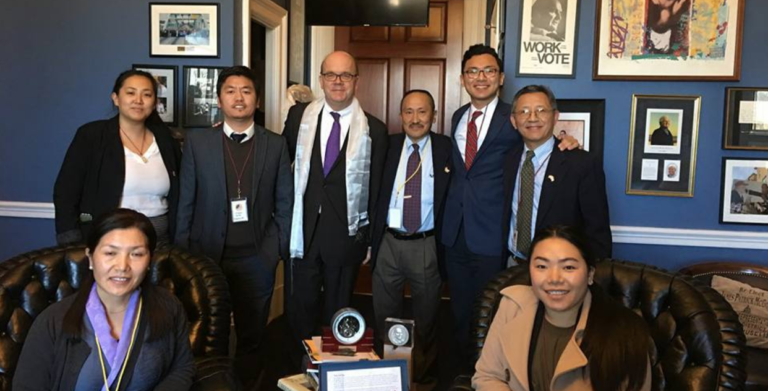 On behalf of Students for a Free Tibet and the Tibetan people, I take this opportunity to thank Congressman McGovern and everyone who worked hard for this bill. I also want to acknowledge and thank the International Campaign for Tibet team for their leadership and hard work in this campaign. After the approval from House Judiciary Committee, the bill now moves to the floor of the House of Representatives. We look forward to the progress of this historic bill, and will keep you updated.